Tip #1: Timing is everything, so don’t start the seeds too early. The best plan is to count backwards 5-6 weeks from your last average spring frost, and sow the seeds then. The National Climatic Data Center will tell you your last average frost date. 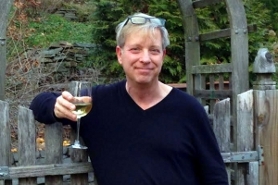 Here in the Hudson Valley, zone 5-b, the time to start tomatoes is April 17. Tip #2: Fluorescent lights are absolutely essential. You certainly don’t need expensive, high-intensity types. I use cheap, $10 fixtures outfitted with pairs 48-inch “cool white” tubes. 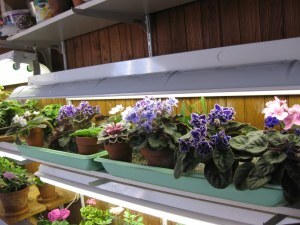 (Yes, I’ve had to kick the African violets out of my study in order to accommodate the tomatoes). Set your flat of tomatoes under the center of the tubes, for this is where the light is strongest. Raise the pots or lower the lights to maintain a distance of not more than 2-inches between seeds (or seedlings) and lights. Tomatoes do best with 16 hours of daily illumination. Tip #3: Use heat-mats, which produce warmth underneath the seedlings, only if you are growing the tomatoes in an extremely cold room. Experience has shown that mats are not essential in a room that stays around 65F, or slightly cooler. 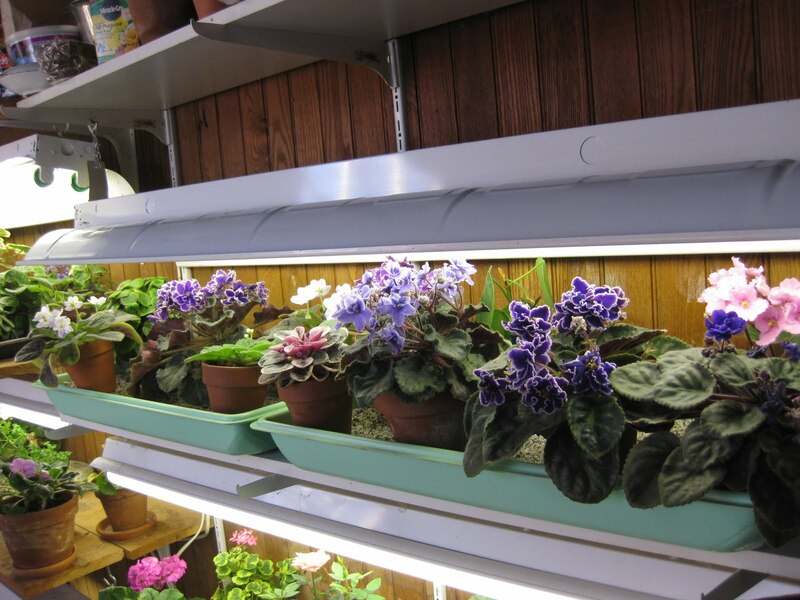 The bit of heat generated by the fluorescent tubes will sufficiently warm the soil and encourage germination. Tip #5: Choose the right containers. These should be at least 2-inches deep, and have a drainage hole in the bottom. I use recycled cell packs, first washed in the dishwasher. I also use 3-inch biodegradable pots. Biodegradable pots (including peat) eliminate the need to knock the seedling out before transplanting outdoors. 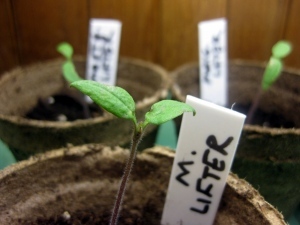 Tip #6: Plant 2-3 seeds per container, and cover with 1/4-inch of soil. After germination, clip with scissors or pinch with your fingers all but the strongest-looking, single seedling. Tip #7: Water exclusively from the bottom. Top watering can dislodge seeds, and wash out soil which is covering roots. To water from the bottom, I set peat pots in a deep bowl of room-temperature water, until both pot and water become saturated. Place cell packs in a deep tray of water. Never leave pots or cell packs in standing water. Tip #8: Provide humidity. 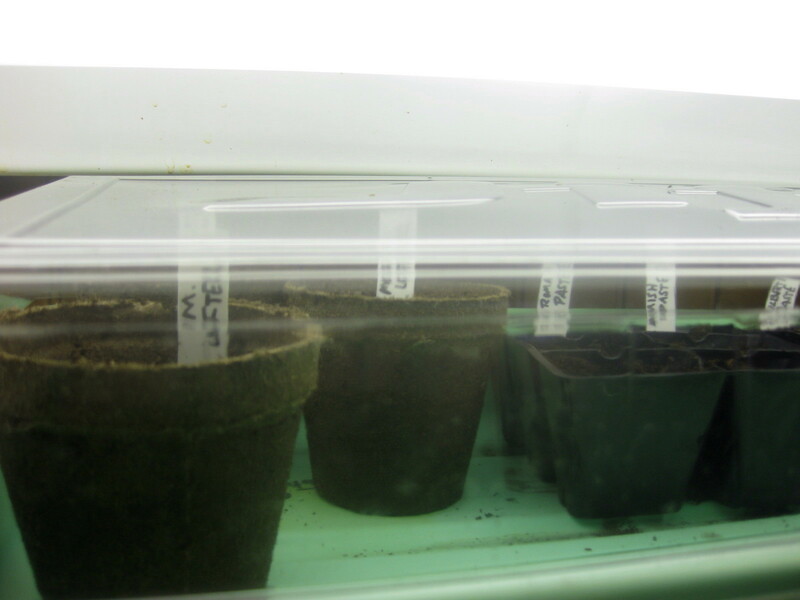 I place a clear plastic dome over my planted containers until seeds germinate. Then I gradually accustom them to fresh air and less humidity over the course of a week by removing the lid for increasing numbers of hours each day. Tip #9: Fertilize. 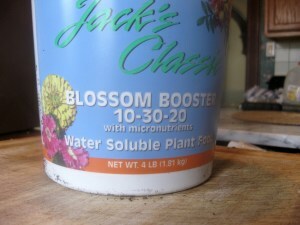 When seedlings have grown their first “true” leaves, feed them with a 1/4 tsp. high-phosphorous solution dissolved in a gallon of room-temperature water. I use Jack’s 10-30-20. As before, provide this food from the bottom, not the top. Tip #10: Harden-off gradually. Before transplanting to the open garden (and this should be when the soil approaches 70F, late-May here), bring the young plants outdoors to a shaded location that is sheltered from wind. I set mine on the covered porch. Then gradually introduce them to increasing amounts of sun over the course of a week. I’ll update this post with more photos as my own seedlings germinate and grow. 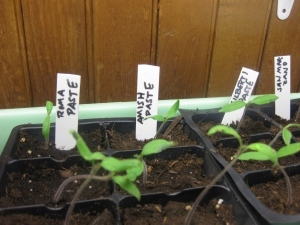 Have you already started your tomato seeds? How are they doing? Great tips. BTW, I use $10 fixtures and cool white tubes for seed starting, too. They work great! Thanks for all the info. Any tips regarding the best seeds and/or tomato types? I'm wanting to try some heirloom varieties but not sure if these are more difficult to start from seeds. Thanks! Viva – nice to meet you. I'm growing all heirlooms this year, including paste-types for sauce. As for best tomato varieties, I highly recommend you read this post: Tomato Reviews: Mine & Yours, where several of us critiqued the tomatoes we grew last year. Hope to “see” you again! So far I have started beefsteak, Livingstons and romas. 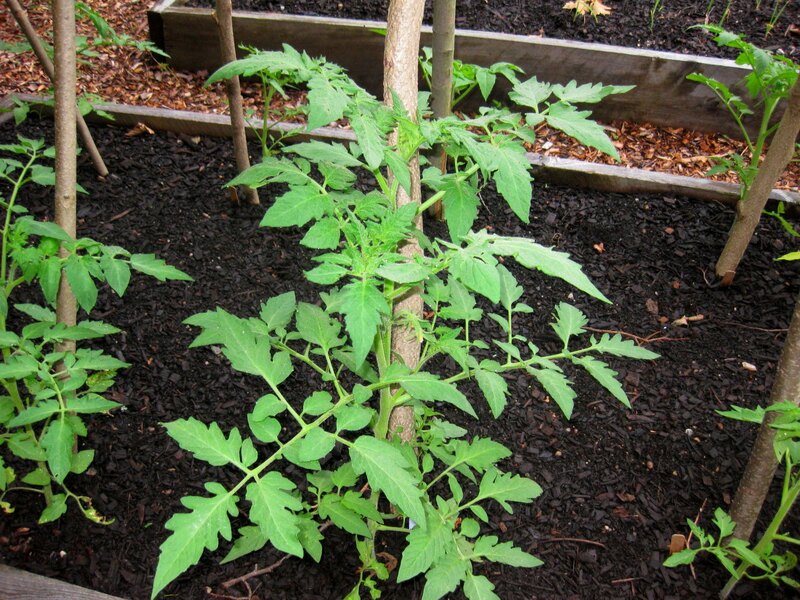 I will also be starting some cherry tomatoes as soon as I get some more dirt. I have my seedlings under florescent bulbs in my basement. It has been so cold here in SE Michigan so I started my peas indoors. The roots are coming out of the tiny pots, they will need to be put in bigger pots I think, it is snowing today I don't think it is safe to plant anything out there! Last year I planted peas outside on March 17. 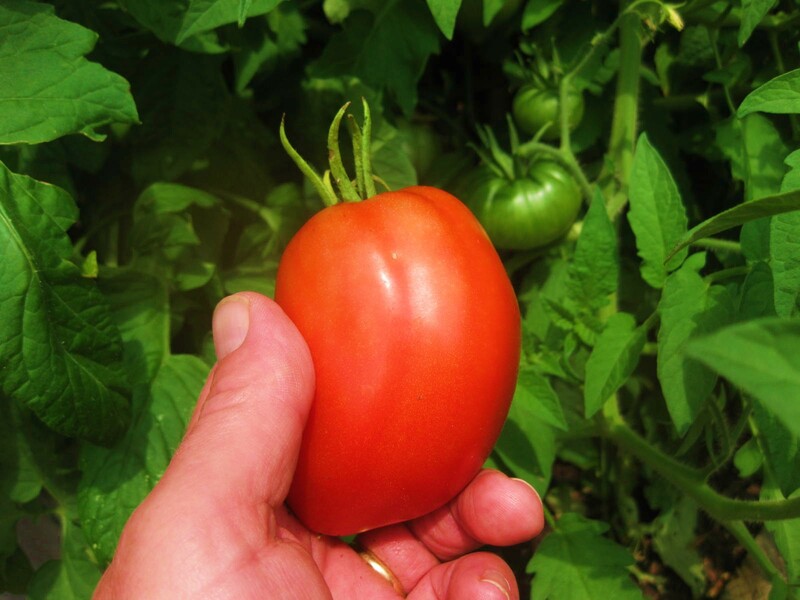 Terry – great to hear you've started your tomatoes. NOT great to hear you're having snow! About the weather…it's been wacky here, too. Just looking at old posts at A Garden for the House, I noticed my garden was much further along at this same time last year. 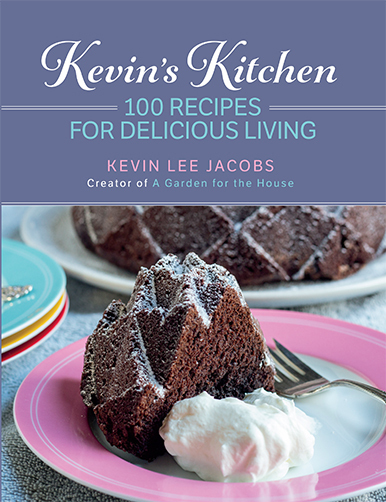 Excellent tips, my army of tiny tomato plants are the only thing keeping me from weeping about the slow spring! Angela – I'm hoping your army of tomato titans will wage a winning battle against this persistent winter! I use LED Grow Lights on all my indoor vegies and it works great. zone 9—-thank you for any information you can give us about ths variety of tomato. We really love the flavor of them. Nancy – I just did a quick search, and read that gardeners who want this variety simply purchase the tomatoes from supermarkets, and then plant the seeds. Worth a try, right? I was so excited about your winter sowing greenhouses, that I started them this year. Only thing is, I must have missed the part about not sowing tomatoe seeds with this method. 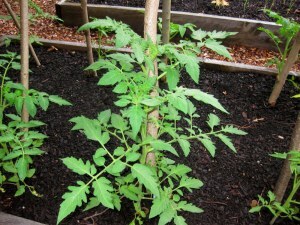 I planted 6-8 milk cartons w/ heirloom tomatoe seeds and set them out in early February. Zone 6a. Will they grow? Or was this a waste of time and seed?